Why Choose accessplanit's Training Management System? Choosing the right software supplier has never been easier. You need a training management system - but with so many suppliers out there, where do you even start? How do you know you've made the right decision? Are you sure the system will help realise your business objectives? This free visual guide lists the 16 top reasons why we'd love you to consider us for your training management software needs. 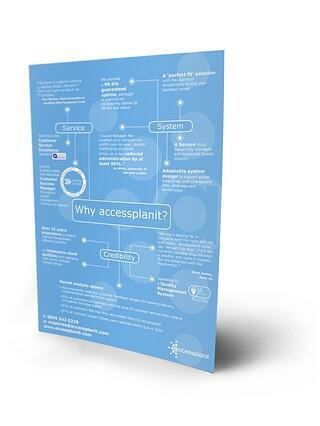 Get our free infographic and discover the reasons why you should choose accessplanit.